6100 Lincoln Avenue – original home of the Morton Grove Public Library in the 1930s; later home to Philip’s Television Radio Service by 1949. An electronics shop was still here in the 1980s. My friend Michael Allen first brought storefront additions to my attention, through his detailed documentation of them in St. Louis. 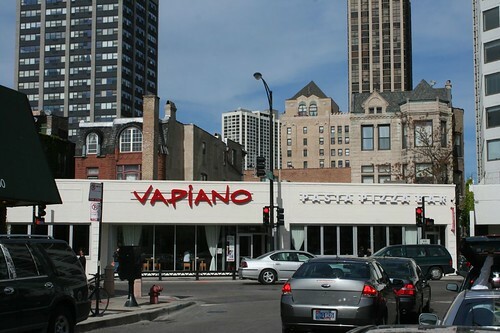 As often happens among architecture fans, his interest rubbed off on me, and I began looking for them in Chicago. Well, it turns out you don’t have to look very hard. They are everywhere. Major commercial streets like Western and Ashland have dozens of them, often side by side, and they come in every shape, size, material and style. 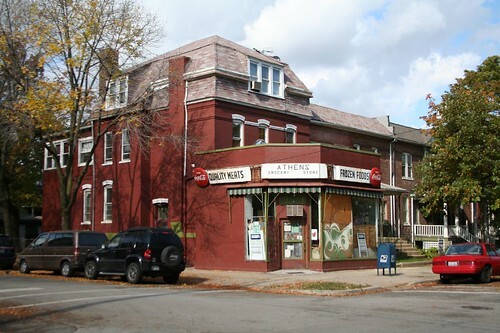 Athens Grocery Store in Pullman, E. 113th Street and S. St. Laurence. Appeared in the Harrison Ford film “The Fugitive”; operated here since at least 1972. In the 1950s it was the Busy Corner Grocery. 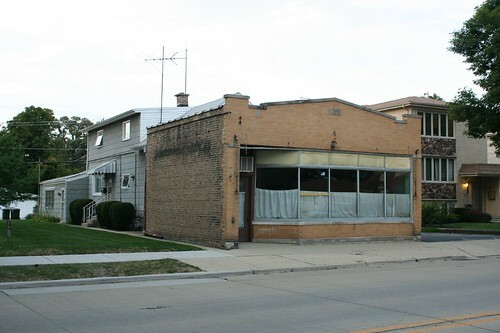 4345 N. Western Avenue – a butcher shop in 1928; until recently the Green Briar Pharmacy. Not clear if they are still open. 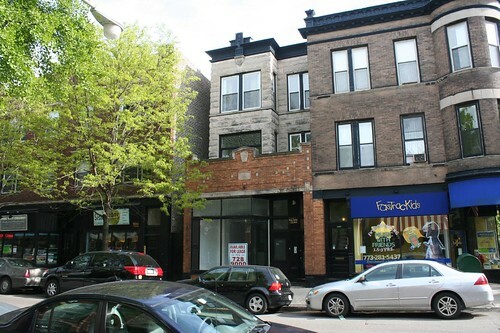 2114 Belmont – home to “The Belmont Shoe Hospital” shoe repair shop by 1917; in the 1980s it was a fine arts gallery. 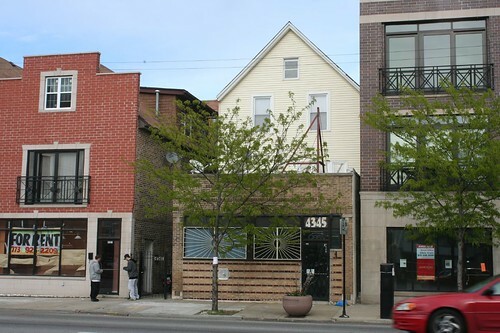 723 Wrightwood – currently vacant, but has held multiple businesses in the past including an Internet cafe in 2001 and the more standard Box Car Cafe in 2004. 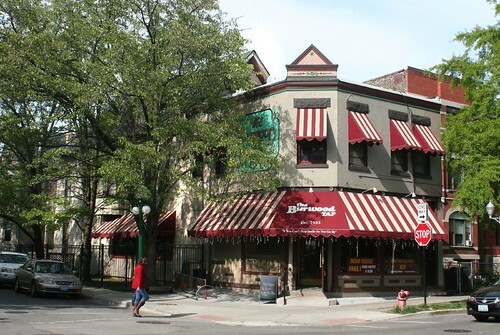 The typical storefront addition is a small commercial structure added to the front of a residential building, often in a sharply contrasting style. The result allows a small business to operate out of the ground floor, and may or may not result in the whole building going commercial. 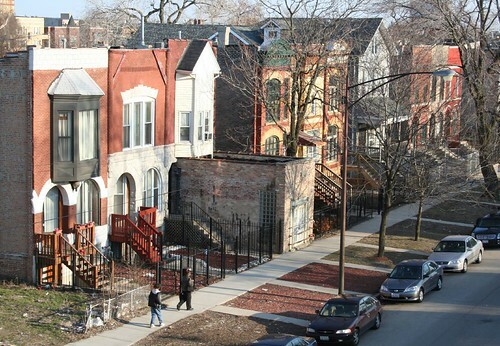 They are common on streets that have transitioned from residential or mixed use to a primarily commercial use, though they can also show up on totally random residential side streets. 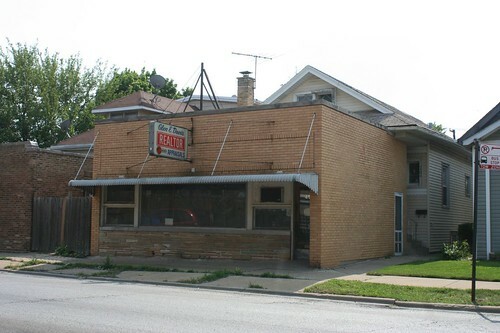 1757 Roscoe Street – a deli in the 1940s; possibly a butcher before that; most recently home to Carmen Electric, Inc. 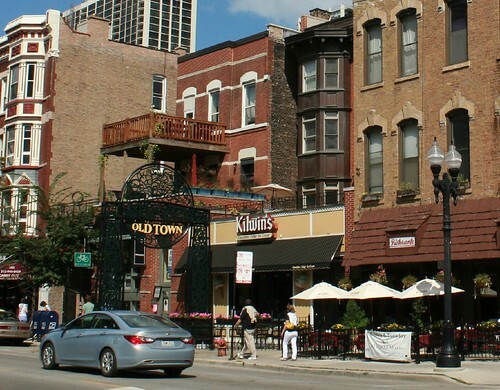 Neighborhood transitions usually don’t happen until several decades after the neighborhood’s construction; as a result, storefront additions usually are built in a different style than the house they are attached to, if there is any style at all. Many additions are purely utilitarian. Others are more flamboyant than the house itself. Particularly curious are the little brick boxes tacked onto the front of wood-framed houses. Like the additions themselves, the upgrade in building material speaks to an increase in prosperity. 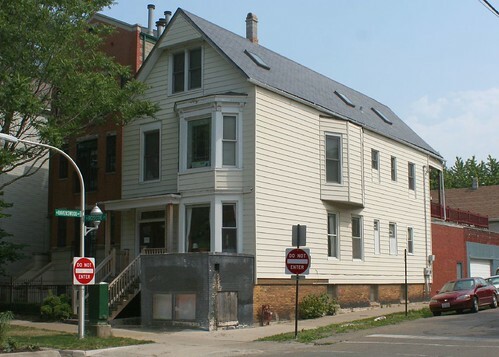 4504 N. Central Avenue – home to Glen E. Davis, Realtor, who had operated from this address as far back as 1951. 1523 / 1525 Devon – Wireless Shack Inc.
1415 Devon – a 1950s addition for the Perma-Stone company, whose product covers the outside of both house and addition. Additions could come in any style, as shown with these two Mid-Century tack-ons attached to totally ordinary wood-frame houses. 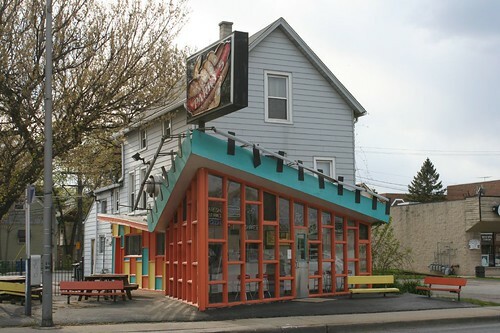 Dos Compadres Restaurant, 7021 Roosevelt Rd, Berwyn – previously another location of Parky’s Hot Dogs. 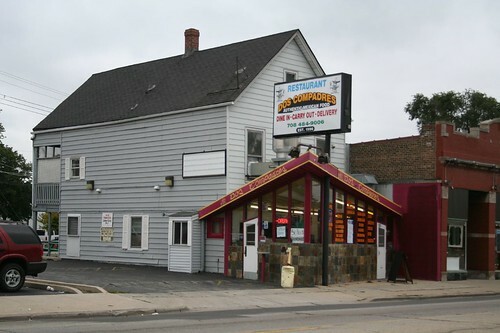 The “chain” – noted for their fries – dates from 1949; this location was closed and sold some time between 2004 and 2009. 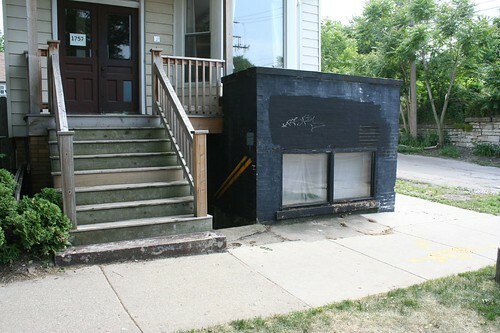 Storefront additions can come in all scales, from tiny brick boxes to full-fledged structures that could stand as independent buildings. 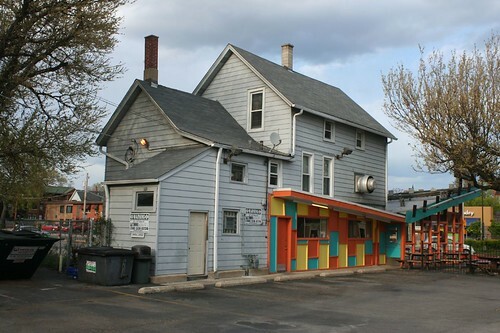 The Burwood Tap is an extreme example of the latter; it’s a full two-story corner building attached to a wood framed house behind it. 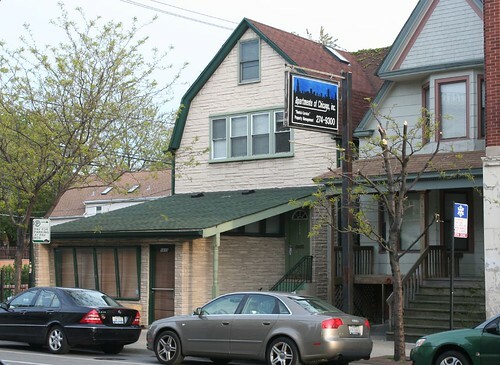 Nesh Mediterranean Grill – 734 W. Fullerton Avenue, Lakeview. Nesh opened in 2008; before that it was a Planet Sub. New ones are almost unheard of today. 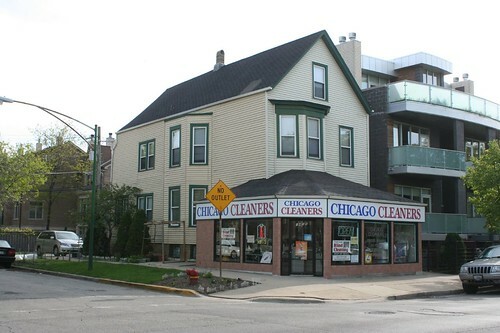 This Fullerton Avenue storefront looks like an exception, but with a grocery store at the address as far back as 1949, and a real estate office for decades after that, it’s likely it simply got reskinned when remodeled in 2006. 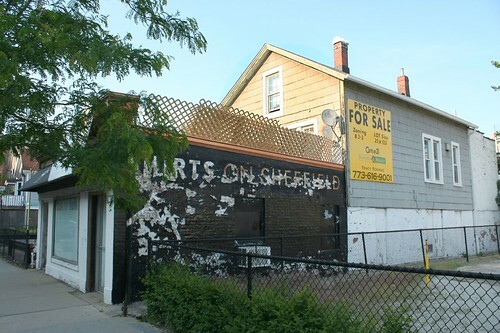 The North Avenue storefront below seems like a similar case – bits of stone roofline ornament can be seen poking out from behind a more recent coating of EFIS. 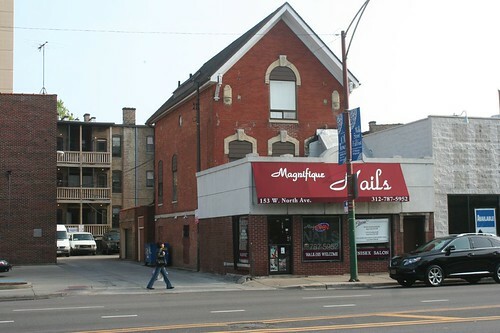 153 W. North Avenue – Magnifique Nails today; a grocery store in the 1920s; a custom T-shirt shop in the 1960s; office for the Chicago Film Festival in the 1980s. 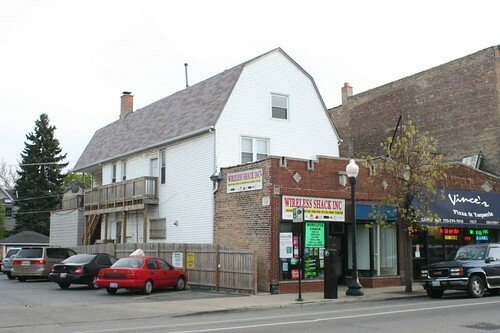 Then there are my two favorites, a pair of Victorian-era houses on Clark Street in Lakeview, which are totally buried by this long commercial building. It’s actually not an addition at all – it doesn’t touch or interact with the to houses, apart from sitting in their front yard. But it swallows them up just as effectively as if they were connected. 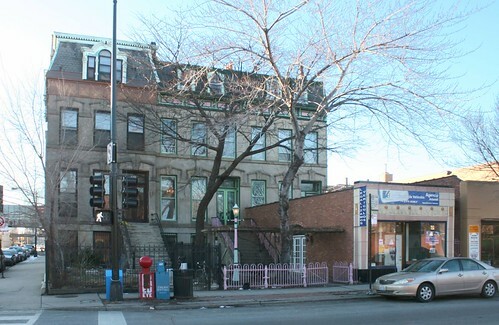 The two houses remain accessible from Clark via long, narrow passageways, one of which is visible on the right. The most interesting thing about storefront additions, apart from their stylistic anomalousness, is what they say about the growth and desirability of the city. 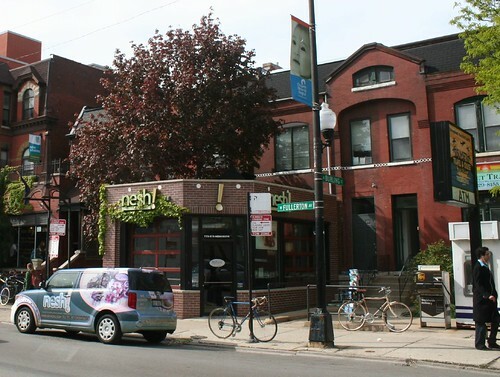 A proliferation of storefront additions speaks to rampant expansion and a thriving economy – neighborhoods growing so fast they cannot keep up with the demand for commercial space. 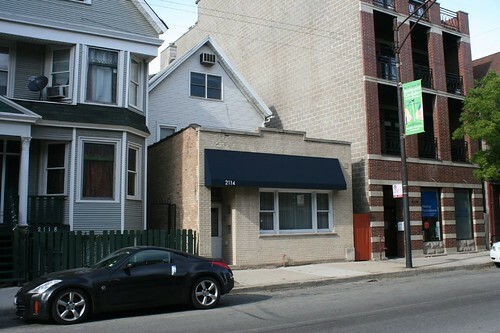 234-238 S. Ashland – an Art Deco storefront built by 1942; a tavern in 1946; Cafe Penelope from 1989 into the 2000s; today, a vehicle registration agency. The house behind frequently appeared in the society pages of the 1890s and 1900s. They are not only indicators of growth, but incubators for it as well. 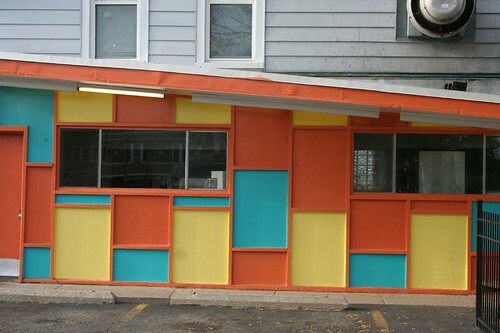 An existing storefront addition allows a small business to have a home of its own without the undo expense of new construction. This sort of flexibility, in turn, is what makes cities such great drivers of economic growth and diversity. Try starting a new business out in the timid, corporate-run ‘burbs – assuming you can even find someone willing to rent space to a non-franchise company. No, you’re far better off in the well-worn, infinitely adaptable city.